We run a tight organization because you expect nothing less than the best for your project. 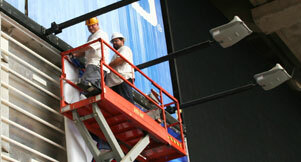 Our project management professionals help keep your project in line and on time. 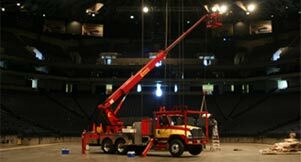 One site or 500 sites, our lighting service capabilities can handle them all. We are fully capable of major program implementation and will handle all project details, from planning to execution, as well as monitoring and reporting. Our support team includes a National Service Call Center, regional “in-house” service offices located throughout the Western United States, and a nationwide subcontractor network. Fluoresco has been providing our clients with industry-leading design, manufacturing, installation and maintenance of lighting solutions and signs. 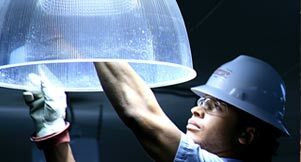 We manage the lighting installation process, including project management, permitting, custom manufacturing, engineering, excavation and installation. Along with lighting maintenance, we’ll revamp any lighting system, performing lighting replacement and lighting retrofit services for a wide range of needs: parking lot structures, industrial warehouses, municipal complexes, office buildings, retail environments, hospitals—and beyond! Regional “in-house” service offices located throughout the Western United States, and a nationwide subcontractor network.